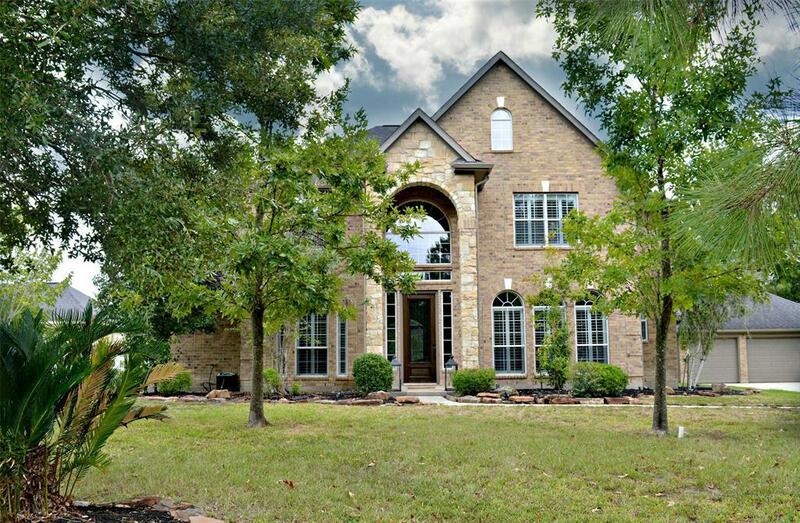 Enter this stunning 4 bedroom, 3.5 bath home in the 20' long, 2 story entry to find it updated to the max. 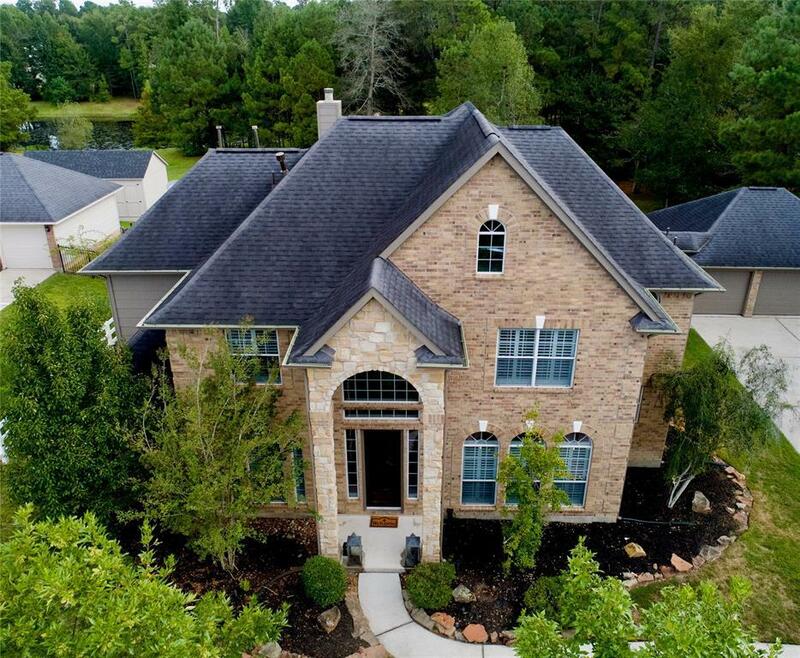 Large family room with two story ceiling & windows overlooking the back to the lake. Open, island kitchen with shelving & a generous 7x4 walk-in pantry. Breakfast & sun room look out on the covered patio and deck. Master bedroom has private access to the backyard & deck. Master bath has whirlpool tub & separate shower with a sliding barn door closure between bedroom & bath. 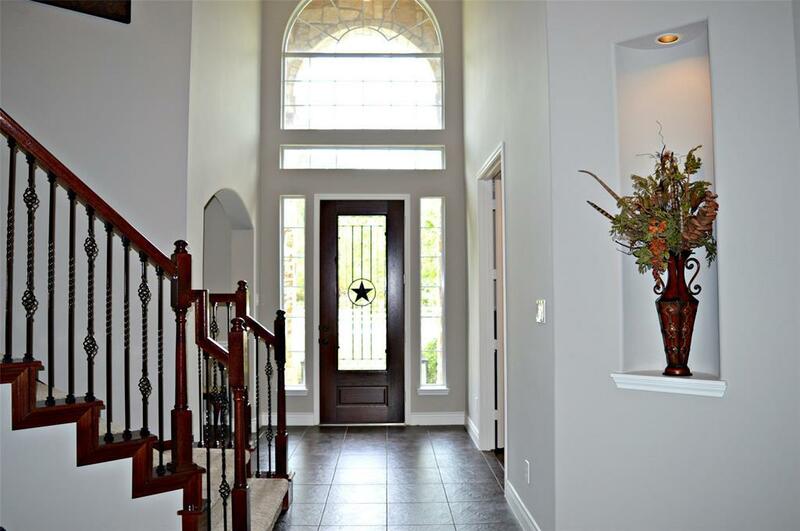 The wrought iron staircase has dual access from the kitchen & the entryway. Game room & one bedroom with a private bath (could be a second master) are divided from the other two bedrooms & their Hollywood bath by a 16'galley overlooking the family room. Deck has lighting & easy access to the lake. 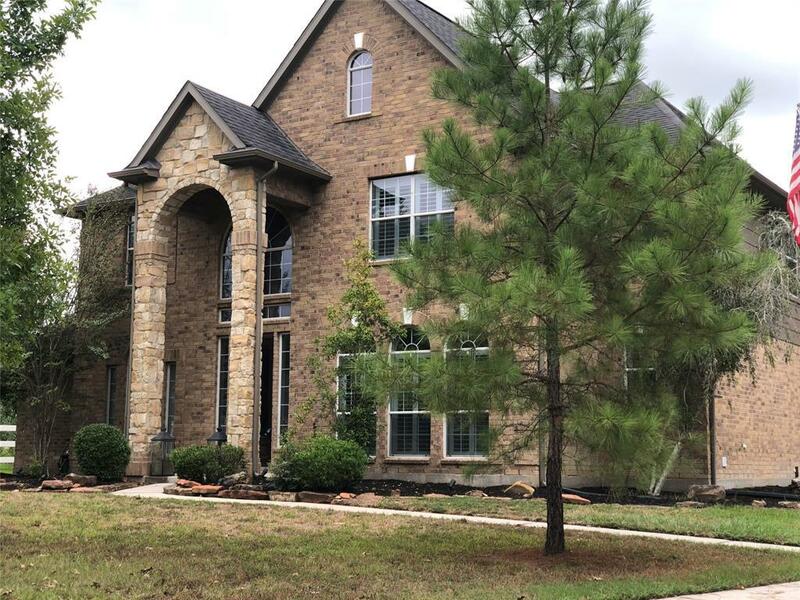 2018 updates: wood floors, carpet, plantation shutters throughout home, fresh paint, chandeliers, light fixtures, faucets, all interior doors, baseboards in major living areas. Appliances replaced in 2017.